Pdf restrictions removal supports 40 bit RC4, 128 bit RC4 and 128 bit AES decryption. Program enable pdf editing, allow pdf printing, permit form filling & content copying on clipboard, signing, commenting and page extraction. Estelar PDF security removal software is a decryption utility that enables the user to copy from a secured pdf. This handy tool is suitable to remove PDF owner password and related restrictions with just few clicks of mouse. Download free PDF Password Remover software to remove pdf restrictions as well as user password. PDF Decrypter Pro can be used to decrypt protected PDF files, which have "owner" password set, preventing the file from editing (changing), printing, selecting text and graphics (and copying them into the Clipboard), or adding/changing annotations and form fields. PDF decrypt is being done instantly. Create, edit, read or email an encrypted/plain text file with this Notepad-like text editor. 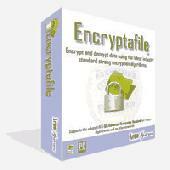 Supports 4 encryption/decryption algorithms: BLOWFISH, Triple DES(3DES), RIJNDAEL(AES), XOR. Use it to protect strictly confidential data, to keep passwords. Encrypt and decrypt text, email, files, folders, and drives. Digitally sign data and verify signatures. Manage and keep track of your passwords. Supports AES and other industry proven algorithms. Supports 256-bit keys and other modern functions. AES Encryption library provides a simple interface to encrypt/decrypt files, strings or data from C/C++ applications using 256-bit AES (Rijndael) encryption keys. Supports CBC and ECB mode, initialization vectors, and buffer padding. Win32/Win64. Use Pdf Unlocker software to allow pdf editing, printing & copying. Program is Windows compatible and easy to use by novice users. Tool supports decryption of RC4 & AES encryption security, in fact decrypts 128-bit and 256-bit long password. Remove your pdf RC4 and AES 128 bit encryption level security restrictions which protects pdf printing, content editing, pdf text & graphics copying, pdf commenting, pdf form filling, pdf signing, pdf commenting & pdf page extraction etc. CryptaFlix is a video player for Windows with encryption capabilities for DivX and other AVI format movies. Protect your video collection from unauthorized viewing with password protection using the Advanced Encryption Standard (AES). Protect your important files with 256-bit AES encryption. Full integration with Microsoft WindowsÂ® Explorer, Microsoft Word, Microsoft Excel and PowerPoint.